Rice – It is probably the most consumed food in the world. Unfortunately, white rice is the only form that is viable for long-term storage. If stored properly white rice will store almost indefinitely. Tests by Brigham Young University show it to be edible and nutritious after 30 years of storage. Rice is an excellent source of complex carbohydrates, which means that it contains starch and fiber. Complex carbohydrates are digested slowly, allowing the body to utilize the energy released over a longer period. Rice is also gluten free. All eight of the essential amino acids are contained in white rice. 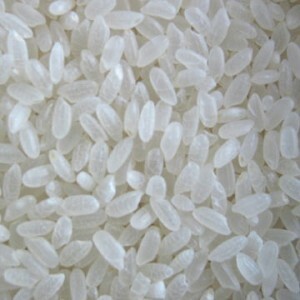 During the milling process, white rice looses approximately 10% of its protein, 70% of its minerals and 85% of its fat. In addition, thiamin, niacin and iron are lost during this process. Any rice sold as enriched has had thiamin, niacin and iron added after milling. Brown rice is more nutritious, but due to its fat content should not be stored for any longer than 6 months, since it will turn rancid. I prefer to store rice in #10 cans with oxygen absorbers. This is a method I have used for quite a few years. All of the cans I have opened have been bug free and the rice has been fine. A good alternate method is to use food grade five-gallon buckets, Mylar bags and oxygen absorbers. I see a lot of recommendations to put rice in the freezer for some period of time, prior to canning. That is something I have never done and I have been storing rice since before oxygen absorbers were on the market. Rice is a good inexpensive product with lots of uses, I recommend that you store it. This entry was posted in food storage and tagged Brown rice, Howard Godfrey, white rice. Bookmark the permalink. They may be storing rice in the freezer to kill insects. Otherwise I don’t know. I should have said ‘putting’ rather than storing. A day in the freezer should do it from what I read. For those on limited budgets or who lack the access or ability to purchase in bulk, try buying the smaller bags a little at a time and using a food saver vacuum sealer to preserve. I have used this method with great success. Its allowed me to put my limited funds to use instead of day dreaming about a bulk purchase “one day”. I buy $5 worth of beans and rice every time I go to walmart and over time I have built up a good stash. They put the rice in there to kill the bugs but I dont know any bugs that can live without oxygen so it’s not needed. I’ve eaten rice with meal worms in it while in the Green Machine because thats all we had. It didnt hurt anyone, just a mental thing. I buy the 2 lb bags and larger when I can. I use 1 and 2 liter soda bottles, cleaned then soaked in a water/bleach solution. A 1 liter bottle will hold 2 lbs of rice and a 2 liter 4 lbs. I usually put the rice in the freezer for a day or so before adding it to the bottles. I’ve also stored minute rice which I like because of the short cook time. I dont know if it lasts as long as the regular uncooked rice, but I’ve had some stored for a few years with no problems. I’ve had great success by storing rice in one quart canning jars (Mason/Ball) by vacuum sealing the lids using the “jar sealer” attachment on my vacuum sealer. It removes the oxygen and all moisture and no evidence of insects after 6 years of storage on some jars. They are resealable if need be and the jars can be reused almost indefinetely. I need to know if i could just vacuum pack the rice in a regular vacuum bag say 1 lb. at the time. where do you get the empty #10 cans from? I saw a video on storing flour using the Food Saver. I believe the poster put it in paper bags and folded them over before putting into the sealer bags. That helps keep the flour “dust” from clogging your vacuum sealer and helps get a better seal on the bag. Have you looked into dry canning? The storage jars are filled with the food product (rice, beans, etc.) then baked in an oven on a very low temperature (maybe 150 degrees). I think this would ensure a dry food and kill any bugs, etc. It works much like regular canning. The jars would also keep the rice dry during storage. Hope that helps. I store only parboiled rice. One cup of cooked parboiled rice provides 41 grams of total carbohydrates, about one-third of the recommended daily intake of 130 grams. The same portion has 1.4 grams of fiber, which supplies 4 percent of men’s and 6 percent of women’s daily fiber. Parboiled rice has double the fiber than you get from cooked white rice. It has a low glycemic score of 38, compared with a high 89 for white rice, notes Harvard Health Publications. A low glycemic score indicates that the carbohydrates in parboiled rice do not cause a large spike in blood sugar. Parboiled rice is rich in niacin, providing 4 milligrams, or 23 percent of the recommended daily intake in 1 cup of cooked rice. You’ll also get 19 percent of the daily intake of vitamin B-6. These values are about double the amount you get from non-enriched white rice. Your body needs B vitamins to metabolize food into energy, but they also fill other roles, such as helping make hormones and neurotransmitters. Vitamin B-6 removes the amino acid homocysteine from your bloodstream by turning it into other substances. This might help keep your heart healthy; high levels of homocysteine are associated with an increased risk of cardiovascular disease. One cup of cooked parboiled rice supplies 2 to 3 percent of the recommended daily intake of calcium, iron, magnesium and potassium. You’ll get a slightly bigger boost of zinc, with 1 cup containing 0.58 milligrams of zinc. That amount represents 5 percent of men’s and 7 percent of women’s daily needs. Zinc performs vital roles throughout your body, from forming the structure of proteins to regulating DNA. If you don’t get enough zinc, your immune system becomes impaired; it needs zinc to produce the cells that fight bacteria and infections. I buy for daily kitchen use as well as food storage Goya brand Golden Canilla Dorado, which is an extra long grain parboiled rice. 1/4 cup serving after cooking has 170 calories, 4 grams of protein and 37 grams of carbs. We like the flavor and texture. Can you store rice in 5 gallon buckets without Mylar bags? I’m thinking about freezing the rice, thawing the rice, then opening the bags into 5 gallon buckets and storing it like that. Thoughts? Yes, you can. The mylar provides another shield to protect from pests, light, and humidity, but many people store food directly in the buckets.